Power grilling performance that’s practical and portable? Absolutely. Now you can enjoy the same succulent and flavorful food that you grill at home everywhere you go. 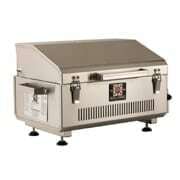 Our portable gas grills are perfect for picnics, RVs, tailgating, boating or even a balcony. Family outings have never been so easy and resulted in such delicious flavors. You can bring the luxury of your home kitchen to a camping trip or a weekend in the wilderness. 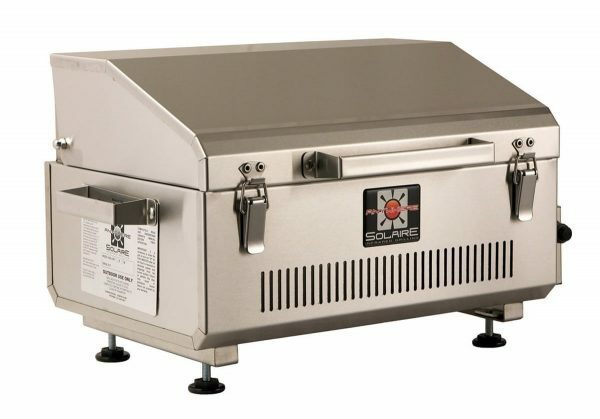 Our portable gas grills are some of our most popular products and continually receive rave reviews for their sturdy construction, ease of use and the tender and juicy food that they produce. No matter what’s on the menu, the Anywhere and the Everywhere portable grills will satisfy your taste buds, your love of the outdoors, and will make your memories with family and friends even more special. The Anywhere includes the Carrying Bag. Use with 1 lb. propane bottles. Use with 20 lb. L.P. tank with Tank/Hose Adapter (SOL-SAHOSE6); Use with natural gas with Natural Gas conversion Kit (SOL-SANGC).